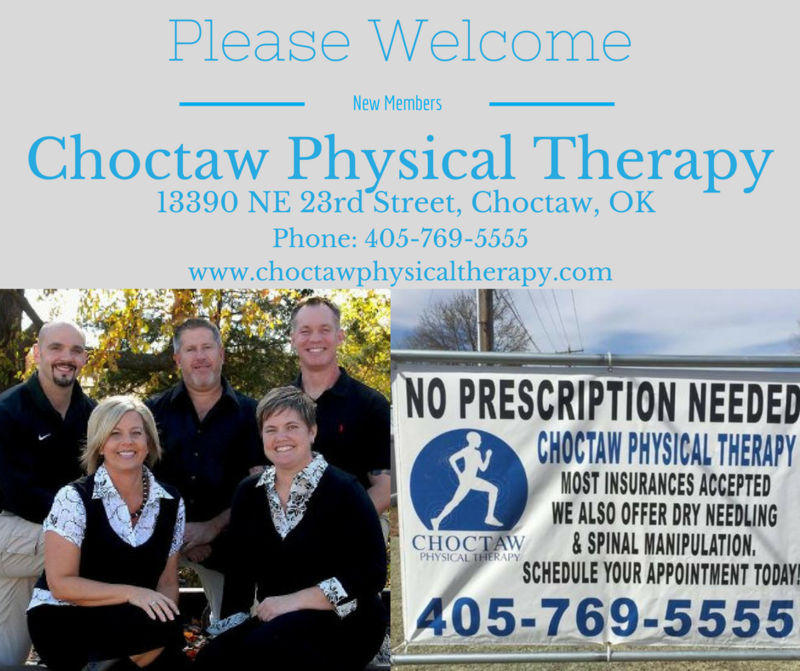 Please welcome our newest members, Choctaw Physical Therapy, an outpatient physical therapy clinic dedicated to overcoming your obstacles. The clinic has been in operation since Sept 2000. Their highly experienced staff/owners are well prepared to assist you and all your therapy needs. Please call for information or to schedule an appointment* and start on the path to overcoming your obstacles. Visit their Website here.